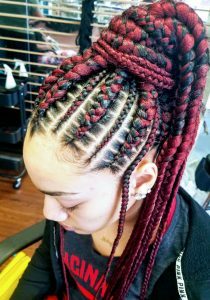 A s consumers, we all do plenty of research before purchasing and item, selecting a service, or choosing an Indianapolis Braiding Salon. It is very rare that we decide without any knowledge of the place, item, or service we are purchasing. It is important to know what you should look for before spending money. Make sure you have found a salon that will treat you like family and give you the most relaxing experience possible. As a local braiding salon, we want every client to leave happy. What Helps you Choose Your Indianapolis Braiding Salon? Their Website and Social Media- Your salon’s website acts just like you’re your store front. You want your future salon to show how elegant it is. It is important for your salon to take pride in what they do. This means having an easy to access gallery of all of their beautiful hair styles that they have done. Not only is the salons website a good indicator of their service, so is there Facebook. Clients are very likely to post reviews and their pictures if they had a great experience. You can take a look at our Facebook, here. Prices-You work hard for your money, you should not have to spend an arm and leg for beautiful. Be sure to ask for quotes for the style you are looking for. We are happy all of your questions about pricing and the style that you desire. Location- Location is EVERYTHING. For many people, it is important that their salon is easy to get to. Our salon is located in the heart of Indianapolis, right in the center of the cross roads of America. Even if you have to drive a little further to get superior service, you can still enjoy the amenities of the big city before or after you visit. 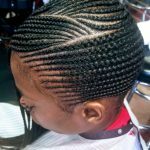 Our expert team, at Ramas Indianapolis Braiding Salon are able to style your hair in most any way that you would like. Just bring in an image of what you would like, and we will complete it for you! Our stylists are able to work on all ages and hair types. We like to get to know our clients and their hair to come up with the best care plan. Most braids can last up to 6 weeks or more, if cared for properly. We can also let you know if a particular style will not hold up with your hair. We know that there are a lot of choices, when it comes to finding your perfect braiding salon. Let our styles do the talking for us. We stand by the quality of our brands and ensure that we will fix your braids if they fallout within the first three days. We know your hairstyle is a great way to express who you are. Let us help you shine. You can browse through our gallery, here. 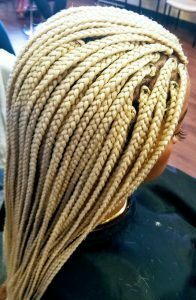 Once you are ready to make the switch to Ramas Hair Braiding Salon, you can schedule your braiding appointment. We look forward to working with you.